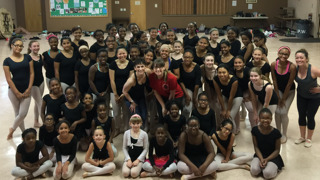 Jo-Ann's Dance Studio-The Performing Arts Centre is a full-service dance center in South Plainfield, New Jersey. We are the oldest, most successful dance studio/performing arts centre in the region. We are proud to offer educational, informative, and fun dance lessons to people of all ages and skill levels. We offer a full range of classes including ballet, pointe, tap, jazz, hip hop, modern, preschool classes, adult classes, combination classes, coed classes, and musical theater classes as well as private piano and vocal lessons. We also offer mat pilates classes and pilates reformer private lessons. The studio is also now offering two unique programs of classes for students with special needs. The talented instructors at our performing arts and dance studio have been serving people in Middlesex and Union Counties since 1977. What sets the studio apart from other performing arts centers is the personal touch that each student receives from our highly trained, experienced teachers. The entire program is designed to discover each student's unique talents, and develop them. We concentrate more on the technique and art form of dance rather than the competitive aspect of it.